We had another Fiat 500 for a double din stereo install this week. These little cars are very popular and once you change the standard stereo from single din to double din the dash just looks amazing! Customer wanted a Sat Nav system with DAB (Digital Radio) so we recommended ​him the Pioneer AVIC-F980DAB which has Sat Nav, Bluetooth and Digital radio. Navigation has never been easier, safer and smarter. Pioneer’s latest navigation systems make sure you don’t have to worry about navigation anymore. So you can enjoy a safe ride instead. These versatile, easy-to-use systems guide you flawlessly to your destination using accurate, up-to-date map instructions for all of Europe. Especially designed for camper vans, they take into account road restrictions and suggest relevant POI’s, while the live traffic information helps you to avoid traffic jams. The AVIC-F980DAB-C has a large 6.2″ Clear Type Resistive multi-touch display with an easy to use interface that is similar to your smartphone. It is intuitive and assures safe operation on the road. For the install we used a Connects2 Fitting kit which allows you to install the double din stereo and also give it a sleek flush finish in Piano Black. With the kit you can also retain all your volume controls on the steering and this allows you to control your new stereo from there also. To receive Digital Radio signal we used a Connects2 glass mount aerial which is very small and very neat and also very easy to install. 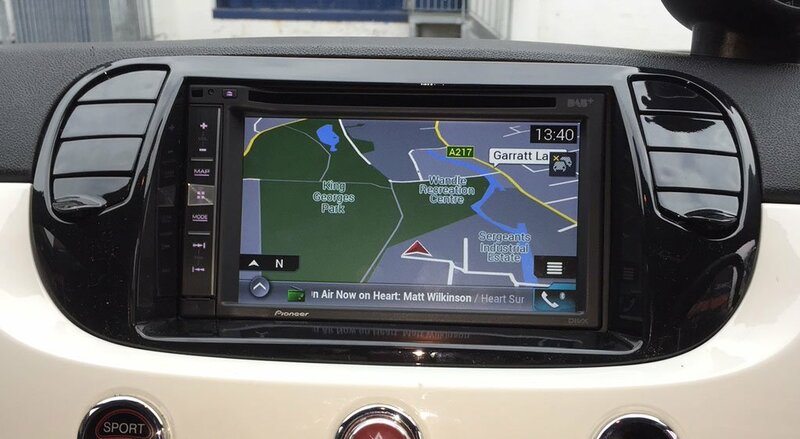 Pioneer AVH-X5800DAB / Vauxhall Astra J ! !